Mac and cheese is one of those old-fashioned comfort foods that only the true south knows how to do right. That’s why you’ll find your share of amazing mac and cheese throughout Alabama. No one knows comfort food better, and you can eat your fill of all that cheesy goodness made from scratch by folks who grew up well-versed in all things country cookin’. You’ll want to scrape the plate clean at these 10 best places for mac and cheese in Alabama. This refined eatery is a great choice for something as grassroots as mac and cheese, but once you take a bite it will easily become your go-to source. Their specialty side dish includes bacon and jalapeno for an unexpected kick that tastes unlike any mac and cheese you’ve ever tried. Relaxing ambiance and friendly wait staff cap the experience for a meal you’ll want to savor. Their mac and cheese waffle wonders are far too interesting to ignore. Macaroni elbows and cheese are magically transformed into crispy little waffles that offer crispness and creaminess in every bite. At first, you’ll wonder how they did it, but after you taste it you’ll simply be glad they made this unique concoction possible. Tucked inside the Wind Creek Casino and Hotel, their smoked gouda mac and cheese is reason enough to pay them a visit. Their generous helping of their cheesy wonder ensures you get your fill. Best of all, it goes with just about anything on their menu, so you just can’t go wrong. Dreamland has several locations throughout Alabama, and you’ll be glad for their widespread service once you taste their mac and cheese. Fans love the taste and texture, and also the large portions they get with their meals. Best of all, you can order it by the quart to last you throughout the week. This downhome restaurant is serving up the best in mac and cheese and all things country cookin’. Their mac and cheese and other dishes are all homemade with love each day, and your taste buds will appreciate the difference. What started out as the cheesiest food truck in town transformed into a truck-and-storefront operation that specializes in all things cheese. 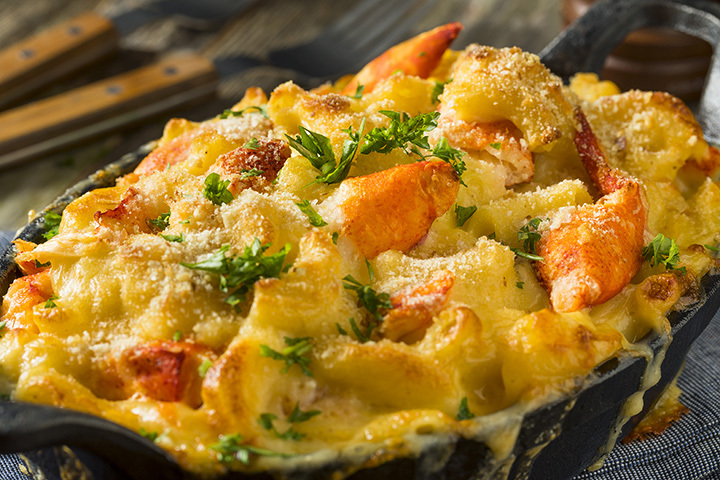 It’s no wonder you can get your fix on their succulent mac and cheese, alongside other cheesy goodness like quesadillas, patty melts, and honey baked goat cheese. Their mac and cheese isn’t available on the buffet every day, but when it is you’ll want to grab a separate plate. At Martha’s, you can eat until your stomach’s content. Enjoy a variety of southern favorites that make for a totally delicious meal. This three-location diner has some of the best southern grub hands down, but their mac and cheese is a shining star. Their variety of fare is enough to satisfy even the pickiest eaters. Fans love their impeccable service, attention to customer service, and high-quality food for reasonable prices. This chain of barbecue joints is found throughout Alabama, and they’re serving up heaping helpings of delectable mac and cheese. This southern staple pairs perfectly with the barbecued variety, creating a truly authentic regional flavor that shows what the south is all about. One of the biggest differences in the mac and cheese here is that it takes center stage as an entree, not a side item. In fact, their menu lets you order a steaming dish of the cheese-laden noodles with a side item. Fans love the upscale ambiance of this gastropub and their multitude of healthy and vegetarian options.